Congratulations David Wagner and Huddersfield Town on Premier League survival! Last night, the pre-season relegation favourites confirmed their top flight status for next year with a 1-1 draw at Stamford Bridge, that in turn, means Liverpool only need a draw on the final day of the campaign against Brighton to finish fourth. Chelsea have been catching us in recent weeks and beat Jurgen Klopp’s side on Sunday, but barring the stuff of nightmares (still possible, we might add), our qualification for next season’s Champions League looks secure. 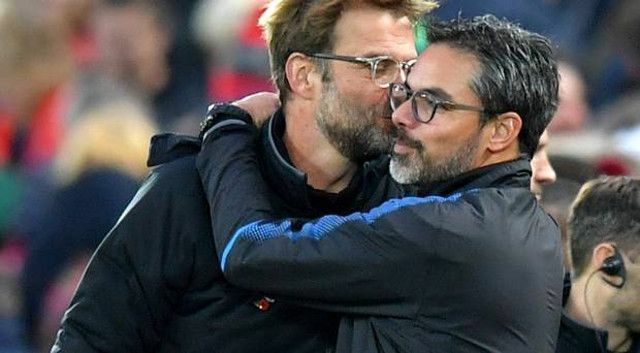 Wagner is Klopp’s best friend from back home in Germany, and fans on Twitter were delighted he’s made our job a little easier. And to be fair – if we lose to Brighton, who have nothing to play for, at home, on the final day of the season – we don’t deserve to be in next season’s Champions League! Huddersfield stay up and take points off Chelsea, meaning we only need a draw against Brighton to guarantee top four. Thank you and congratulations Wagner & Huddersfield.